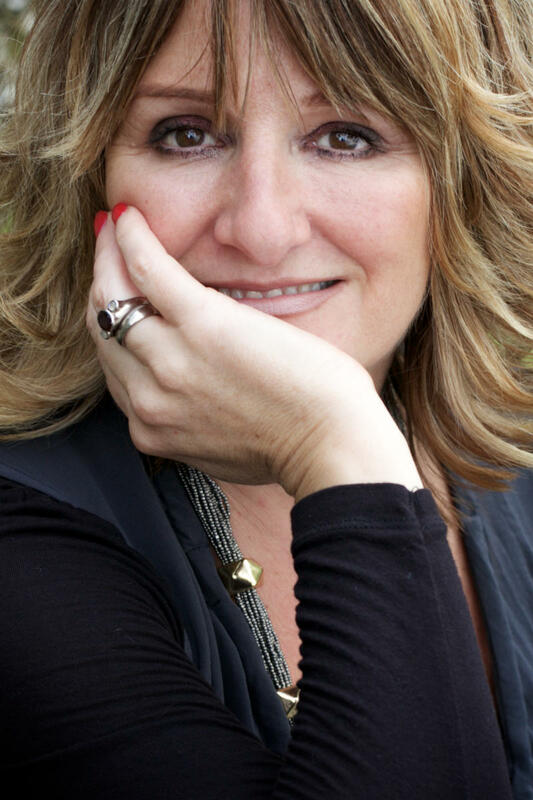 Sarah Rayner is the author of five novels, including The Two Week Wait and the bestselling One Moment, One Morning. She worked for twenty years as an advertising copywriter and now writes fiction full-time. Sarah lives with her husband in Brighton. Here she shares how she puts together her books. ‘I often have my best ideas when I’m in bed, I tell no lie. I came up with the title for my first novel, The Other Half, and the plot for One Moment, One Morning lying awake in the small hours of the morning. But I don’t hone my novels in bed – I’d never sleep if I did – I do that in a little office in my home in Brighton. It has a French window that opens a balcony overlooking a patio garden, and is full of books. Just above my computer I have pinned a big diagram of my new novel, outlining the plot and the connections between characters. When I’m truly immersed in writing, I don’t look at anything however – not the garden, the ‘mind’ map or the books – with the exception of my Thesaurus. If there’s one thing I’m a snob about, it’s my Thesaurus. I am convinced you can’t be a good writer without one and I’m deeply suspicious of anyone who calls him or herself a writer and doesn’t have a well-thumbed tome. And it’s got to be Roget’s, none of that A-Z formatting for me, it’s far too limiting. I’m also suspicious of writers who listen to music. Writing is as much about the rhythm of words – their sound – as it is about anything. As a writer, I have to be able to ‘hear’ what I am saying on the page; and I don’t just mean the poetry of descriptive language, I also mean in terms of the dialogue between characters. To my mind that can only be created in absolute quiet. So I don’t like company (I’m forever telling my partner to go away and leave me alone, poor man) and I ignore the phone. The only company I do permit is that of cats. I realise I sound like a caricature of a female novelist, but that’s the way it is: I have three cats (my excuse is that one I inherited and one belongs to my stepson) and all three interrupt me the whole time. But I’m a softie, and I tolerate them all. They play with my run-outs as they emerge from the printer; they bask under the warmth of my desk lamp as if it were a sunlounger (thereby rendering research documents unreadable) and they sit on my mouse (better than eating it, I suppose). I can barely type at times, but somehow I manage.